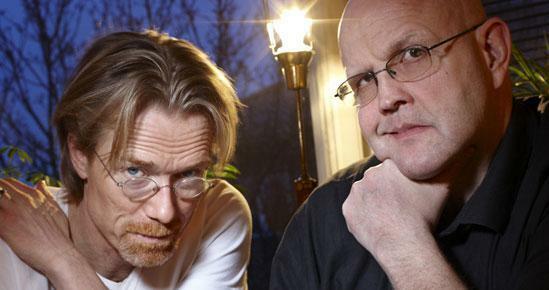 The winner of the Best Swedish Crime novel of 2009 is Tre Sekunder [Three Seconds] by Anders Roslund and Borge Hellstrom. 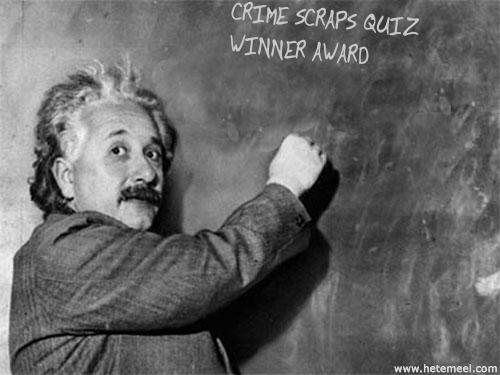 The crime writing duo were nominated for this award in 2005, 2006 and 2007. Borge Hellstrom is an ex -criminal who helps rehabilitate young offenders and drug addicts. Anders Roslund is the founder and former head of Culture News on Swedish Television, and was a prize winning investigative reporter on Rapport , the Swedish equivalent of CNN and the BBC. The Martin Beck Award for translated fiction went to Bleeding Heart Square by Andrew Taylor. Here is the full list of the nominees for both awards. 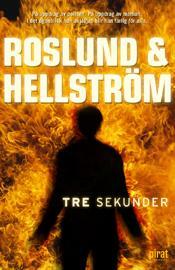 Images from the Official Roslund-Hellstrom website. 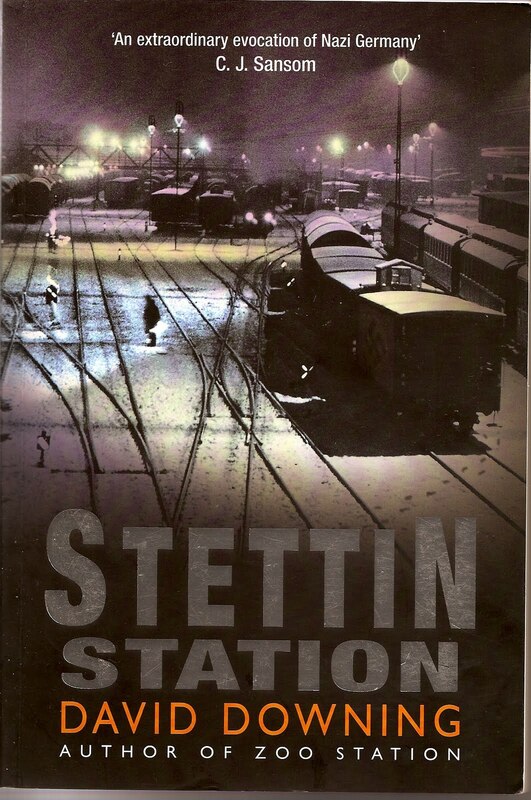 You can read my review of Stettin Station by David Downing at Euro Crime. I seem to be reading a large number of Second World War era books lately, but then there are a lot being written. Stettin Station is a fine addition to the wartime spy genre with its frightening evocation of life in Nazi Berlin, and the reminder that not all Germans supported that brutal regime. That alone should have encouraged me, but when I won a copy of number five ‘Curse of the Pogo Stick’, and my son travelled off to Cambodia right next door Laos, where the stories are set, I had to buy the first three books to complete the series, and start reading. [since then another book, The Merry Misogynist, has been published in hardback]. The 72 year old Dr Siri Paiboun was looking forward to a well earned retirement, but the great honour of becoming National Coroner to the People’s Republic of Laos is bestowed on him. Siri was always a reluctant communist who in Paris many years before had only joined the party because the love of his life, the beautiful Bouasawan, was dedicated to the revolutionary movement. Although he has no training as a pathologist, and only one ancient textbook, he is lucky that to assist him in the morgue he has a happy dedicated twosome, his nurse Dtui, who reads out of date fashion magazines, and Mr Geung, the morgue labourer, who has Down’s Syndrome. More about Mr Geung in another post. When the bodies of two apparently tortured Vietnamese soldiers bob to the surface of a Laotian lake, an international crisis is imminent, and Siri’s life is at risk. He has to seek help from his lunch partner, old comrade Civilai, a policeman Inspector Phosy, and a Vietnamese doctor, Nguyen Hong; while of course he is assisted by the spirits of the dead that come to him in his dreams. Colin Cotterill, who won the 2009 Crime Writer’s Association “Dagger in the Library’ prize, has mastered the technique of imparting chunks of information, about a country we know very little about, while keeping us engrossed with a clever plot. We learn about the Hmong people and their shamanic belief in tree spirits, and about the antagonisms between the richer and more powerful countries in the region, Taiwan, China and Vietnam. Here you can read Maxine of Petrona’s excellent and enthusiastic review of The Coroner’s Lunch at Euro Crime. 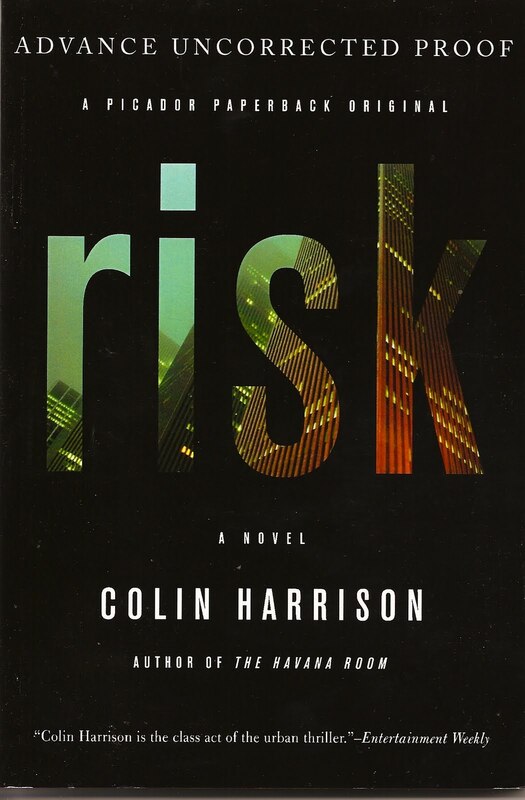 > Finally we have a winner for Colin Harrison’s Risk! and a ‘silently amended female’- The Fifth Woman. The ‘Fifth’ relates to the amendment of the US constitution which maintains the right of the accused to maintain silence, and refuse to answer questions, in order not to incriminate themselves. The four books were all written by Henning Mankell, but the odd one out is The Dogs of Riga translated by Laurie Thompson, while the other three were translated by Steven Murray aka Reg Keeland. The winner who struggled through to get the correct answer comes from British Columbia, and I will post the prize off next week. Well done. > Happy Thanksgiving to all my American friends, and another chance to show my photographic skill. I must admit I was tempted to cheat with my contribution to this week’s Crime Fiction Alphabet Meme at Kerrie’s Mysteries in Paradise. H for Hakan, Hakan Nesser. 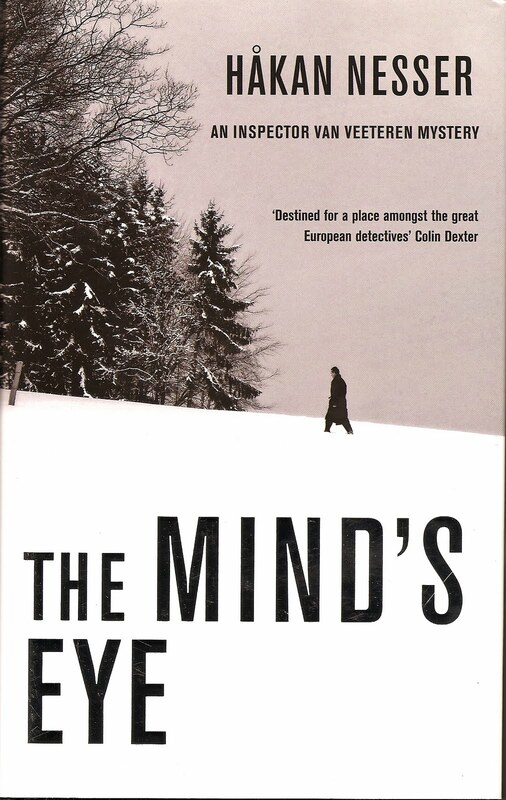 I knew I wanted to read Hakan Nesser’s books some time ago, but I was delaying until the first book in his Inspector Van Veeteren series Mind’s Eye was published this year. 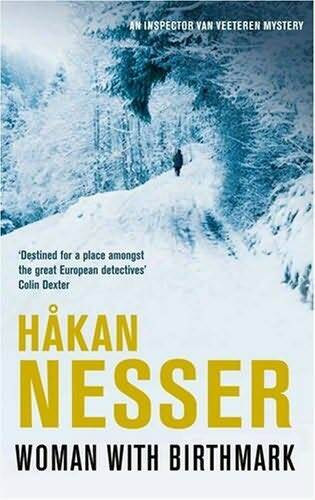 I had been confused in the past with Nordic crime being translated out of order by pixilated publishers. Hakan Nesser is one of the nominees for the Best Swedish Crime Fiction novel of the year with The Worms in Carmine Street. His novels with their subtle humour, interesting characters and well constructed plots have won him many awards including a Nordic Glass Key, Best Debut novel in 1993 and Best Swedish novel in 1994,1996, and 2007, as well as nominations in 1995,1997, 1998, 1999, 2000, and 2001. At Crime Fest in Bristol this year he proved to be just as amusing in person as he was on the written page, and I am looking forward to many more of his twenty novels being translated into English. 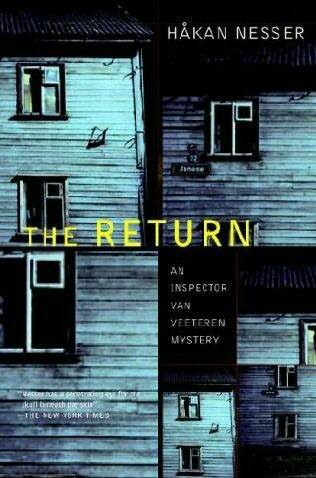 Unfortunately only four of his Van Veeteren books have been translated so far and none of his new series featuring the intriguingly named Gunnar Barbarotti. My review of Mind’s Eye. Hakan Nesser interviewed by Ann Cleeves at Crime Fest 2009. Swedish humour with Hakan Nesser. I have just finished reading Stettin Station by David Downing, an exciting Second World War spy thriller and my review will appear on Euro Crime. I seem to have read a large number Nazi themed books recently and all this wartime tension can prove a bit wearing, so it is time for a break. 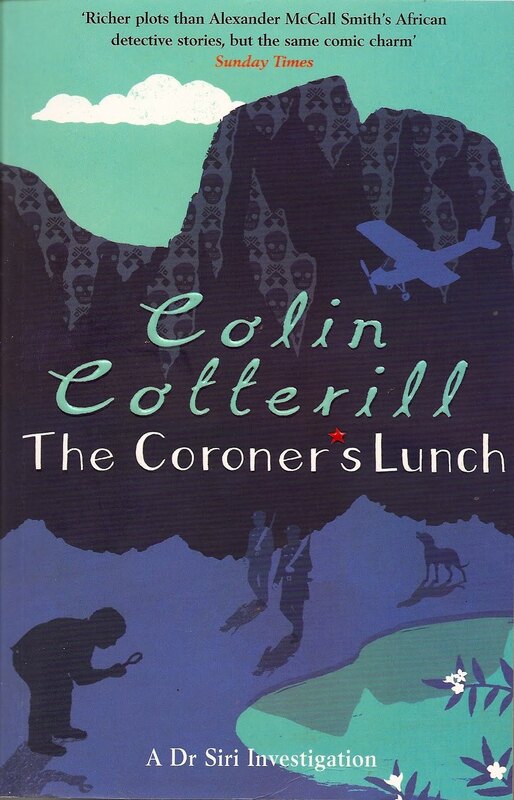 Therefore I have moved on to read The Coroner’s Lunch by Colin Cotterill, which possibly will be a lighter read because Dr Siri Paiboun, National Coroner of Laos, seems from the first few pages to have a wicked sense of humour. ‘And what do you put the loss of blood down to?’ Judge Haeng asked…….. Unfortunately no one managed to get the complete answer to the ‘win a copy of Risk competition’ although good efforts were made by entrants from British Columbia and Texas. I will repeat the question with an extra clue to give you another chance. I did make the question a little obscure because we had so may correct answers to the straightforward question about Andrew Bonar Law. on a minor path, anonymous murderers, domesticated Latvian carnivores and a silently amended female. Then explain which is the odd one out. The first three were easy, but the “silently amended female” was a problem. Here is a clue, another word for a female is woman, and if something is amended it is an amendment. Please send answers to thbear08@googlemail.com by Thursday 26 November 12.00 midnight GMT. Good luck, it should be easy now. 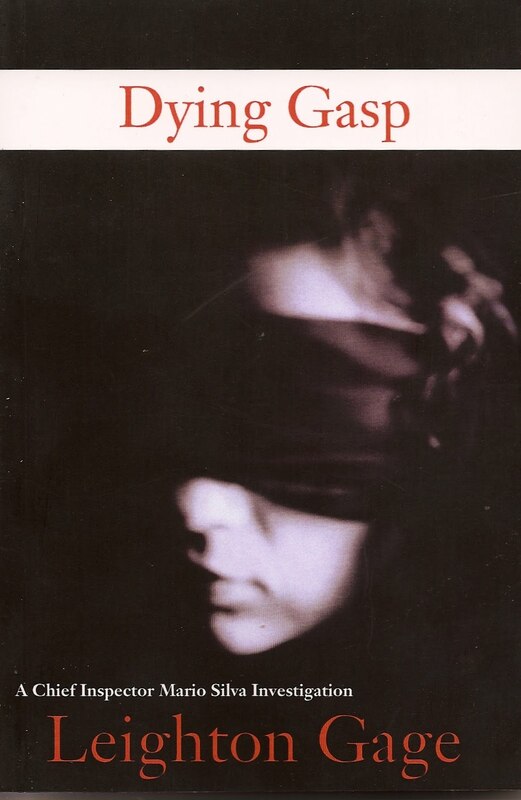 The Swedish title of Stieg Larsson’s Millennium volume three was Luftslottet som sprangles but this was altered in the English version to The Girl Who Kicked The Hornets’ Nest. 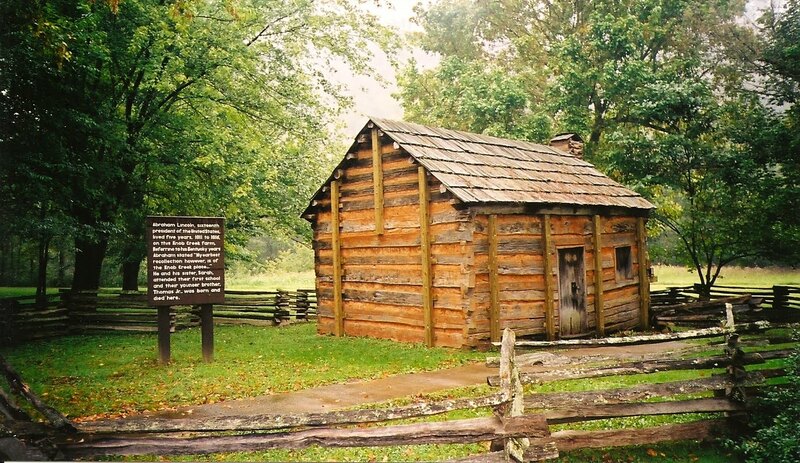 Which of course got me thinking about some other Hornets’ Nests, such as that complained of by Lord Cornwallis on his way to Yorktown, and his appointment with George Washington and Comte de Rochambeau. “Charlotte is a veritable hornets’ nest of rebellion”. 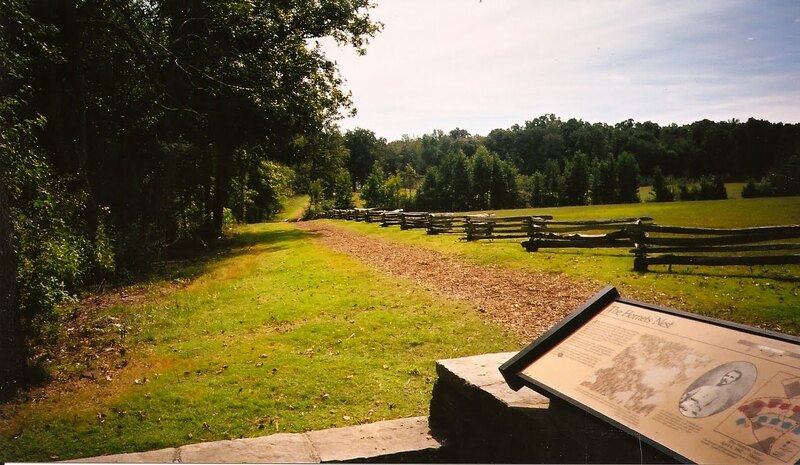 And my photograph of The Hornets’ Nest at Shiloh, Tennessee. Slightly delayed this week because I wanted to post about my reactions to finishing the Millennium trilogy is this week’s contribution to the Crime Fiction Alphabet meme at Kerrie’s Mysteries in Paradise. G is for Gage. Leighton Gage. I first met Leighton Gage, another of crime fiction’s many nice guys, on line and then in person at Crime Fest 2009 in Bristol. He writes the thrilling Chief Inspector Mario Silva Investigation series set in Brazil, where he and his charming Brazilian born wife Eide, live most of the year. Here is a link to Leighton’s website where you can get more information about his books. He also has a new joint blog Murder is Everywhere with Cara Black, Yrsa Sigurdardottir, Michael Sears and Stanley Trollip [Michael Stanley], and Dan Waddell. Leighton does not have to worry about the anomaly that affects crime writers in Sweden and Iceland. The conundrum in which there are many more fictional murders than ever occur in real life does not have an influence on a Brazilian set crime fiction series. I think Sao Paulo’s murder investigation department has over 800 police officers and is still understaffed. But Mario Silva is a Federal cop which allows him to travel all over that huge country, and that provides Leighton with plenty of scope for his plots. One of the most important facts I learned from the Mario Silva series and from interviewing Leighton is that Brazil is not a poor country. 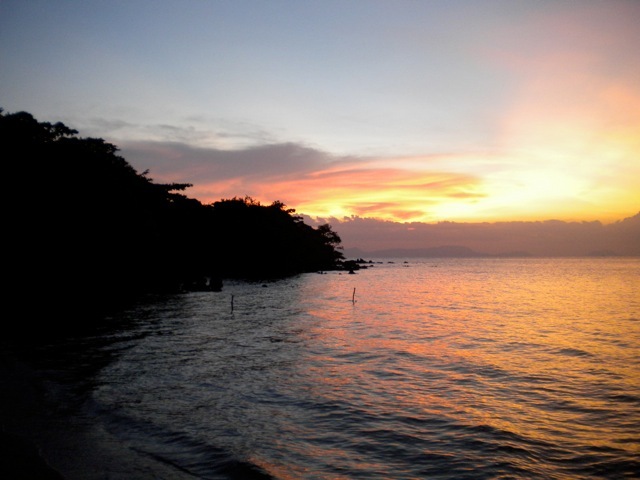 It is a very rich country with a lot of very very poor people living in it. My review of the first book in the Mario Silva series, Blood of the Wicked, which I purchased. My review of the second book in the series, Buried Strangers, which I received as a review copy. Luckily I have a advanced review copy of the third book in the series, Dying Gasp, which has a pretty sensational opening chapter. More on that next month. Here you can read part one, part two and part three of my wide ranging interview with Leighton Gage. The Mario Silva series has not only some memorable characters, but also the quality of writing that makes you smell tension, fear and even cigar smoke, in the air. I should say that although the books are about violence, corruption, poverty and social divisions, they are not gratuitously violent. The reader also learns a lot about a country that will probably be one of the powerhouses of the century. But Brazilian police methods in their search for justice in very difficult circumstances are sometimes slightly different from those adopted in the UK, USA, Canada or Australia. A more cheerful Latin Wallander, and well worth reading about.